I remember when I first saw pre-smocked fabric panels at the fabric store, I thought to myself, "What in the world is that?" 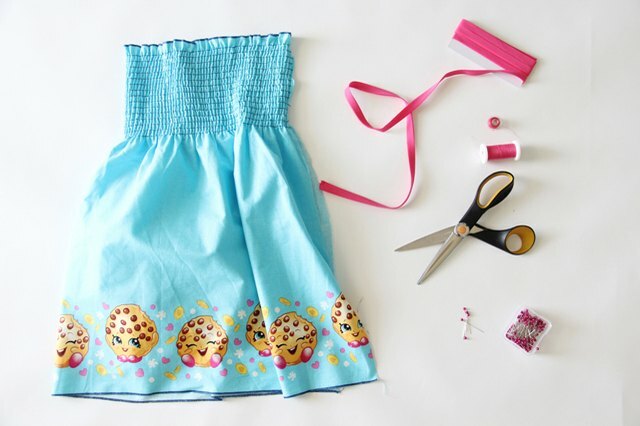 The answer is, "It's the easiest fabric you can purchase to make a quick sundress for yourself or your kids this summer." A single seam is all it takes to turn a shirred fabric panel into a quick and comfortable sundress. 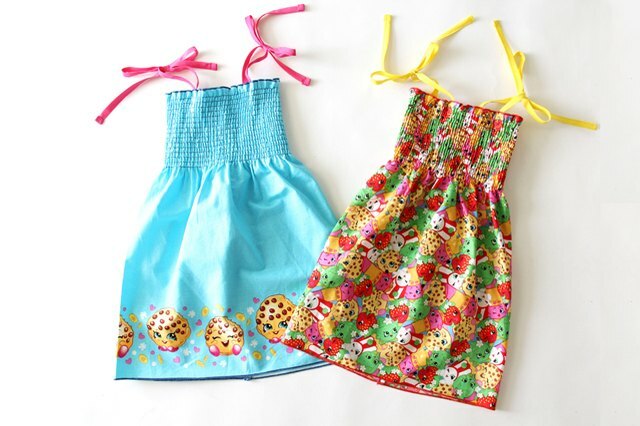 When my Mom made my kids' dresses from these magic fabric panels a few years ago, my kids wore these dresses every single day. 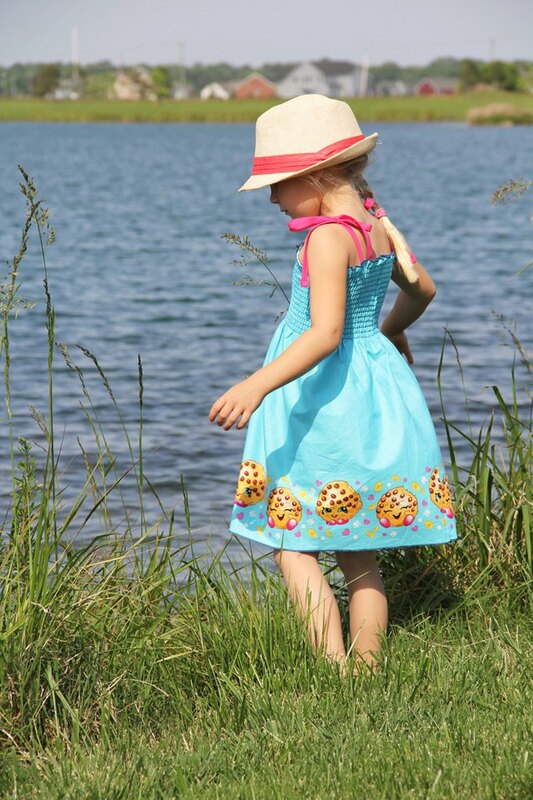 They would skip over my long, time consuming, costly handmade dress creations and beg to wear this pre-smocked dress! And as the saying goes, if you can't beat them, join them! 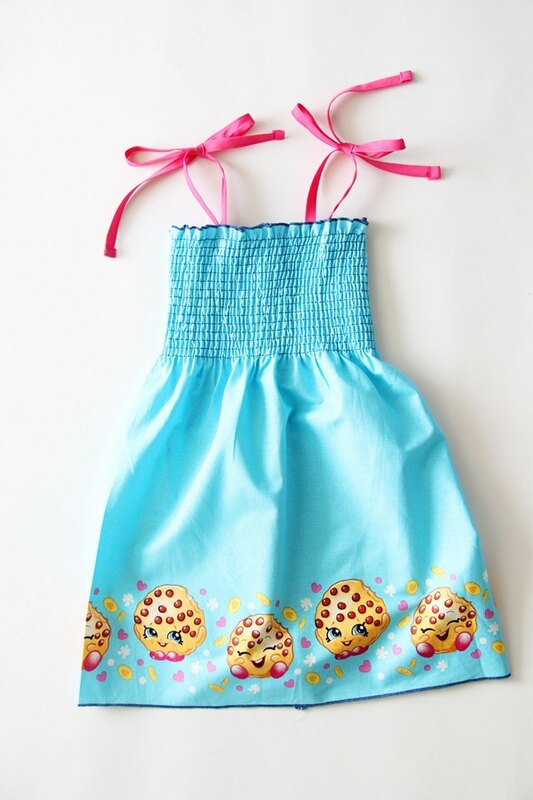 When purchasing the pre-smocked fabric panel, you can buy the exact amount of fabric that you need to make the dress. Simply measure around the chest and subtract 1 inch from that measurement. An average child's chest measurement guide is: 2T = 21 inches, 3T = 22 inches, 4T = 23 inches, 5T = 24 inches, 6T = 25 inches. 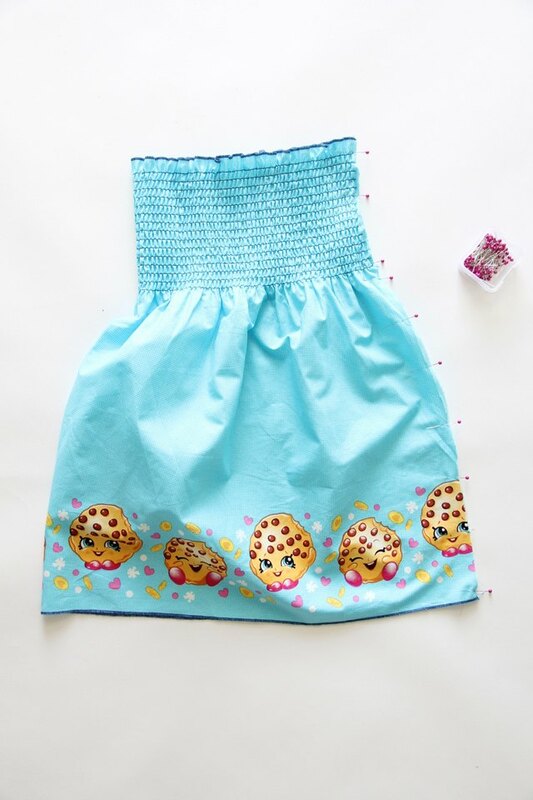 Pre-smocked fabric consists of a bunch of elastic thread stretching the fabric together. Whenever I work with elastic thread projects, I like to reinforce my seams to ensure that they do not come undone. For this reason, I am sewing a French seam along the back. This will enclose all raw edges, and give the dress a professional finish. First, cut the fabric panel to size based on the chest measurement chart above. 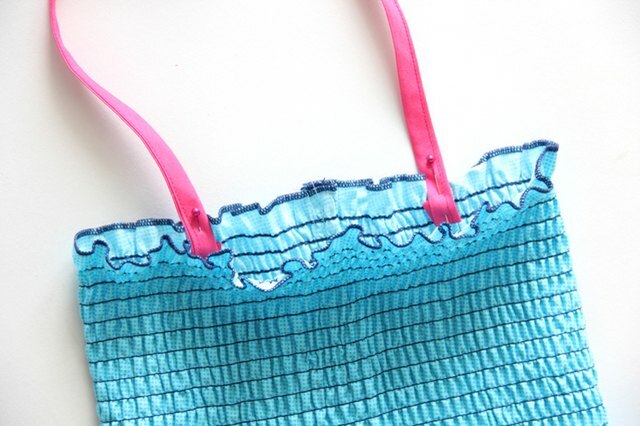 To sew a french seam, line up the side edges wrong sides together and pin. Sew down using a 1/4-inch seam allowance. Press seam to one side. Turn the dress wrong side out and pin the raw seam together enclosing the raw edge. Sew again using a 1/2-inch seam allowance. Press seam to one side, and edge stitch down to secure. Cut four dress straps 20 inches in length each. Press each bias tape strip so that the folds from the packing are smooth. 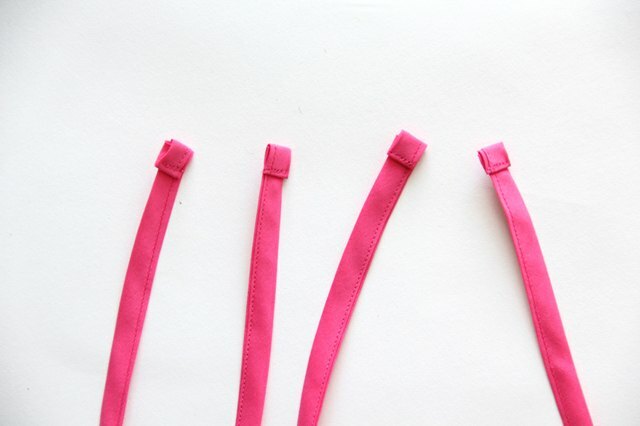 Sew down the folded outer edge to close bias tape, making one long dress strap. Fold the raw side edge 1/4 inch, and then 1/4 inch again and sew to secure. Repeat for all four straps. If you want to try your hand at making your own bias tape, click here to read our full bias tape making tutorial. 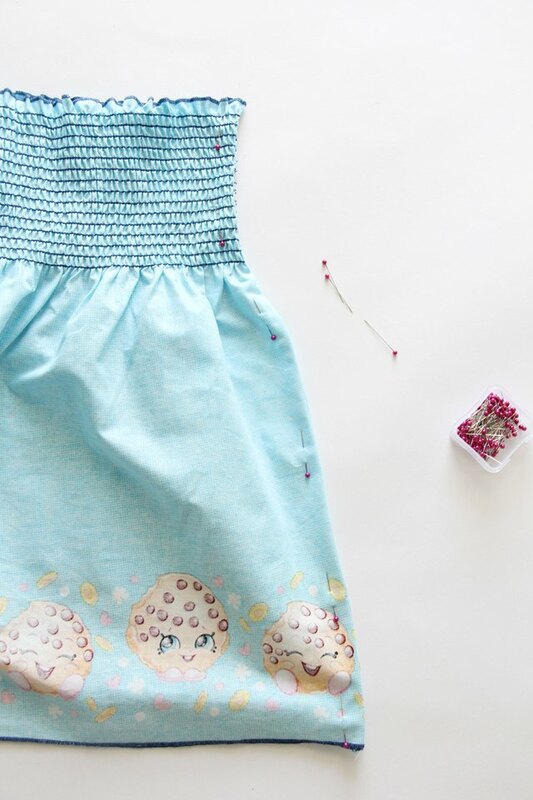 Line up the dress seam so that it is centered along the back. Pin the raw edge of the strap to the inside of the dress 2 1/2 to 3 inches on either side of the seam. 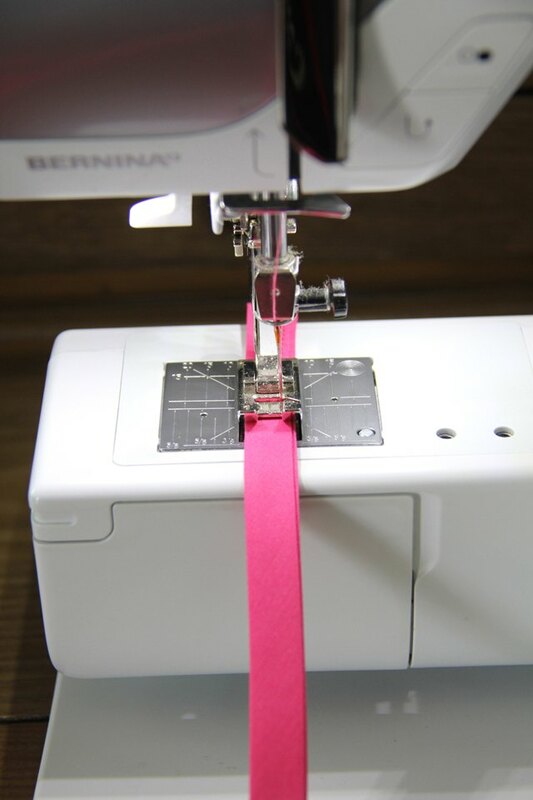 Sew a rectangle around the bottom of the strap to secure in place. Repeat for the other two straps on the front of the dress, lining up the straps in the same exact location as the back two straps. Hemming is unnecessary with pre smocked fabric panels, as the fabric already has a finished edge along the bottom. But for specific dress lengths, hemming is necessary. To hem, determine the ultimate length you would like for your dress to be and add 1 inch. Cut to size. Fold the raw edge under 1/4 inch toward the wrong side and press. Fold again 3/4 inch and press, enclosing the raw edge. Sew around to secure. Always press your handmade clothing to ensure they have that professional-looking quality to them. True to form, my daughter snatched this dress up and wore it immediately after I showed it to her. Furthermore, she begged to wear it to soccer practice, as well as to school the next day. And all it took me was 20 minutes to make. Go figure.